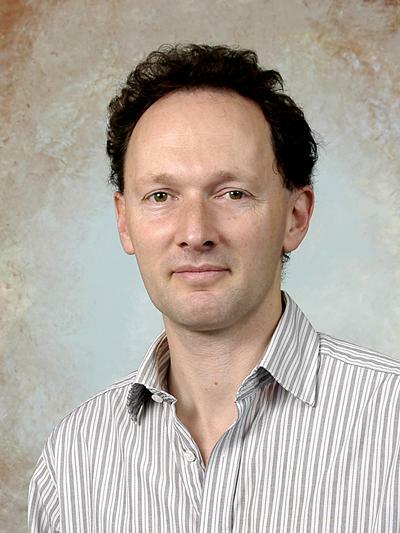 Professor Jonathan Bull is based within Ocean and Earth Science, National Oceanography Centre Southampton at the University of Southampton. His current research focusses on active tectonics, marine geophysics and understanding pathways for fluid flow. I work on a variety of research topics across the spectrum of marine geophysics, structural geology and surface processes, with particular emphasis on seismic reflection imaging. Siegburg, M., Gernon, T. M., Bull, J. M., Keir, D., Barfod, D. N., Taylor, R. N., ... Ayele, A. (2018). Geological evolution of the Boset-Bericha Volcanic Complex, Main Ethiopian Rift: 40Ar/39Ar evidence for episodic Pleistocene to Holocene volcanism. Journal of Volcanology and Geothermal Research, 351, 115-133. Krishna, K. S., Bull, J. M., Ishizuka, O., Scrutton, R. A., Jaishankar, S., & Banakar, V. K. (2014). Growth of the Afanasy Nikitin seamount and its relationship with the 85?E Ridge, northeastern Indian Ocean. Journal of Earth System Science, 123(1), 33-47. Robb, G. B. N., Best, A. I., Dix, J. K., White, P. R., Leighton, T. G., Bull, J. M., & Harris, A. (2007). The measurement of the in situ compressional wave properties of marine sediments. IEEE Journal of Oceanic Engineering, 32(2), 484-496. Plets, R. M. K., Dix, J. K., Adams, J. R., Best, A. I., & Mindell, D. A. (2005). High resolution acoustic imagery from a shallowly buried shipwreck: a case study (abstract of poster presented at the EGU General Assembly 2005, Vienna, 24-29 April 2005). Geophysical Research Abstracts, 7, EGU05-A09046. Dix, J. K., Bull, J. M., Henstock, T. J., Gutowski, M., Hogarth, P., Leighton, T. G., & White, P. R. (2005). True 3D high resolution imagery of a buried shipwreck: the Invincible (1758). Eos Transactions AGU, 85(52). McNeill, L., Cotterill, C., Stefatos, A., Henstock, T., Bull, J., Collier, R., ... Ferentinos, G. (2003). A high resolution geophysical study of the offshore western Gulf of Corinth rift (abstract of paper presented at AGU Fall Meeting, San Francisco, 8-12 Dec 2003). EOS: Transactions American Geophysical Union, 84(46, Supplement), F1366-F1367. Barnes, P. M., Lamarche, G., & Bull, J. M. (2003). Active interplay between strike-slip and extensional strucutres in a back-arc environment, Bay of Plenty, New Zealand (abstract of paper presented at AGU Fall Meeting, San Francisco, 8-12 Dec 2003). EOS: Transactions American Geophysical Union, 84(46, Supplement), F1367. Gutowski, M., Bull, J. M., Dix, J. K., Henstock, T., Hogarth, P., White, P. R., & Leighton, T. G. (2003). Chirp sub-bottom profiler source signature design and field testing. Geophysical Research Abstracts, 5, EAE03A-01556. Taylor, S., Bull, J., Lamarche, G., Barnes, P., Cowie, P., Sanderson, D., & Dix, J. (2003). Displacement accumulation in a linked segmented normal fault over the last 18 ka within the Whakatane Graben, New Zealand (abstract of paper presented at AGU Fall Meeting, San Francisco, 8-12 Dec 2003). EOS: Transactions American Geophysical Union, 84(46, Supplement), F1367-F1368. Bull, J. M., Taylor, S. K., Lamarche, G., & Barnes, P. M. (2003). Normal fault growth and linkage in the Whakatane Graben, New Zealand, during the last 1.3 million years (abstract of paper presented at AGU Fall Meeting, San Francisco, 8-12 Dec 2003). EOS: Transactions American Geophysical Union, 84(46, Supplement), F1364. Lamarche, G., Bull, J. M., Barnes, P. M., Taylor, S. K., & Horgan, H. (2000). Constraining fault growth rates and fault evolution in New Zealand. EOS: Transactions, American Geophysical Union, 81, 481-486. Pickering, G., Peacock, D. C. P., Sanderson, D. J., & Bull, J. M. (1997). Modeling tip zones to predict the throw and length characteristics of faults. AAPG Bulletin, 81(1), 82-99. Huehnerbach, V., Masson, D. G., Bohrmann, G., Bull, J. M., & Weinrebe, W. (2005). Deformation and submarine landsliding caused by seamount subduction beneath the Costa Rican margin - new insights from high-resolution sidescan sonar data. In D. M. Hodgson, & S. Flint (Eds. ), Submarine slope systems: processes and products (pp. 195-205). (Geological Society Special Publication; No. 244). London, UK: Geological Society of London. Beekman, F., Bull, J. M., Cloetingh, S., & Scrutton, R. A. (1996). Crustal fault reactivation facilitating lithospheric folding/buckling in the central Indian Ocean. In P. G. Buchanan, & D. A. Nieuwland (Eds. ), Modern Developments in Structural Interpretation, Validation and Modelling (pp. 251-263). (Special Publication of the Geological Society; No. 99). London, GB: Geological Society of London. Bull, J. M., & Scrutton, R. A. (1990). Sediment velocities and deep structure from wide-angle reflection data around Leg 116 sites. In Proceeding of the Ocean Drilling Program Scienllfic Results, Vol. 116, Distal Bengal Fan : covering Leg 116 of the cruises of the Drilling Vessel "Joides Resolution", Colombo, Sri Lanka, to Colombo, Sri Lanka, Sites 17-719, 2 July 1987-19 Aug 1987. (pp. 311-316). College Station, TX, US: Texas A & M University Ocean Drilling Program. Bull, J., Berndt, C., Minshull, T., Henstock, T., Bayrakci, G., Gehrmann, R., ... chapman, M. (2018). Constraining the physical properties of Chimney/pipe structures within sedimentary basins. Paper presented at 14th International Conference on Greenhouse Gas Control Technologies, Melbourne, Australia. Cevatoglu, M., Bull, J. M., Vardy, M., Wright, I. C., & Gernon, T. (2015). First controlled sub-seabed CO2 release experiment: qualitative and quantitative analysis of high-resolution seismic reflection data. Poster session presented at IEAGHG The Risk Management and Environmental Research Meeting, United Kingdom. Bull, J. M., Cevatoglu, M., Connelly, D., Wright, I. C., McPhail, S., & Shitashima, K. (2013). Autonomous Underwater Vehicle survey design for monitoring carbon capture and storages sites. Poster session presented at AGU Fall Meeting 2013, United States. Cevatoglu, M., Bull, J. M., Vardy, M., Wright, I. C., & Gernon, T. (2013). First controlled sub-seabed CO2 release experiment: Insights into gas migration pathways and impacts on sediment physical properties. AGU Fall Meeting 2013, United States. Plets, R. M. K., Dix, J. K., Adams, J. R., Bull, J. M., Henstock, T., Gutowski, M., & Best, A. I. (2006). 3D reconstruction of a shallow archaeological site from high-resolution acoustic imagery - a case study. In S. N. Jesus, & O. C. Rodriguez (Eds. ), Proceedings of the 8th European Conference on Underwater Acoustics, 12-15 Jun 2006 (pp. 757-762). Carvoeiro, Portugal: ECUA Secretariat. Bull, J. M., Gutowski, M., Dix, J. K., Henstock, T. J., Hogarth, P., Leighton, T. G., ... Bjorno, L. (Ed.) (2005). 3D chirp sub-bottom imaging system: design and first 3D volume. 777-782. Paper presented at International Conference on Underwater Acoustic Measurements: Technologies & Results, . Robb, G. B. N., Dix, J. K., Best, A. I., Bull, J. M., Leighton, T. G., White, P. R., & Seal, A. (2005). The compressional wave and physical properties of inter-tidal marine sediments. 1087-1092. Paper presented at 1st International Conference on Underwater Acoustic Measurements: Technologies and Results, . Robb, G., Best, A. I., Dix, J. K., Leighton, T. G., Harris, A., Riggs, J. S., ... Partyka, A. (Ed.) (2002). Frequency dependence of acoustic waves in marine sediments. 43-49. Paper presented at Proceedings of the Sixth European Conference on Underwater Acoustics, . Tuffin, M. D. J., Best, A. I., Dix, J. K., & Bull, J. M. (2001). Temporal variability of P-wave attenuation due to gas bubbles in a marine sediment. In T. G. Leighton, G. J. Heald, H. D. Griffiths, & G. Griffiths (Eds. ), Acoustical Oceanography: Proceedings of the Institute of Acoustics Conference on, 9-12 April 2001, Southampton Oceanography Centre (pp. 291-298). (Proceedings of the Institute of Acoustics; No. 23, Pt 2). St Albans, UK: Institute of Acoustics. Tuffin, M. D. J., Best, A. I., Dix, J. K., & Bull, J. M. (2000). Acoustic characterization of gassy marine sediments in Dibden Bay, Southampton Water (U.K.). In M. E. Zakharia (Ed. ), Proceedings of the 5th European Conference on Underwater Acoustics, Vol. 2 (pp. 825-830). Lyon, France: European Commission. Bull, J. (2018). Cruise Report RRS James Cook 152 - JC152: CHIMNEY – Characterisation of major overburden pathways above sub-seafloor CO2 storage reservoirs in the North Sea. Scanner and Challenger Pockmark Complexes. University of Southampton. Robb, G. B. N., White, P. R., Bull, J. M., Best, A. I., Leighton, T. G., & Dix, J. K. (2002). The estimation of geoacoustic properties from broadband acoustic data, focusing on instantaneous frequency techniques. (ISVR Technical Report; No. 298). Southampton, UK: University of Southampton, Institute of Sound and Vibration Research.